Although summer seems like a distant memory we’re still trying to focus on improving our outdoor space – which if we’re honest is still a bit of a mess. 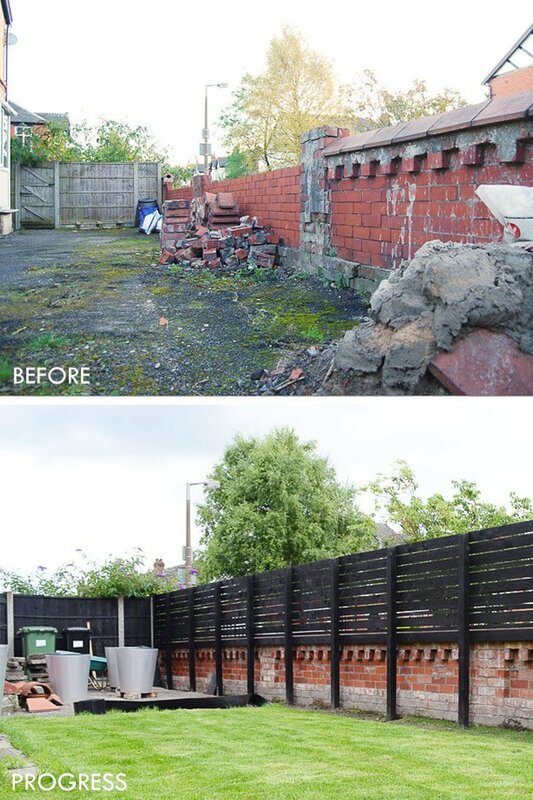 We’ve already spent countless hours digging up and replacing a load of the tarmac that covered most of the garden, we’ve replaced the garage roof and door, we’ve taken down the garden wall and had it rebuilt and we’ve just finished building a garden fence, too! 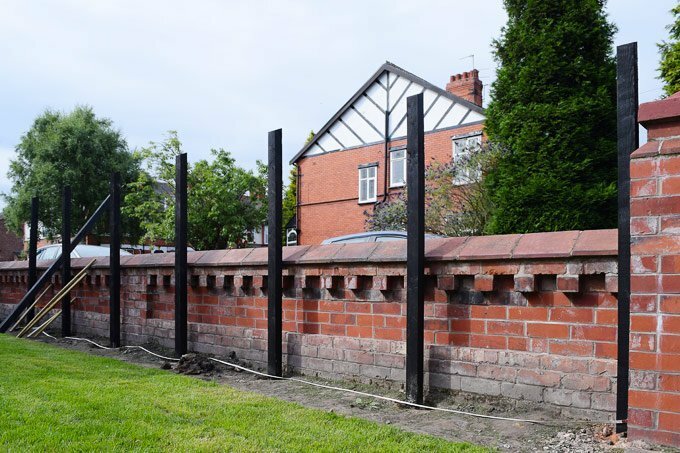 For us, a fence had never been much of a priority – whilst people can, of course, look over the wall and into our garden, we weren’t too bothered and really – we’re just not that interesting! 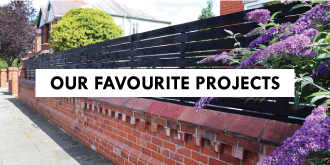 We knew that it couldn’t stay like that forever though, so after considering a load of different options (and comparing what felt like hundreds of different prices) we opted to build our own slatted fence. We, of course, considered installing a standard style fence but wanted something slightly more contemporary looking. In an ideal world, we would have loved to install a slatted cedar fence, which we think are gorgeous but, because we needed about 15m fencing, would have been way out of our budget. Neither option was really what we wanted and we really struggled to make a decision. So basically we didn’t and just ignored the situation until we could come up with a solution that we both liked and more importantly could afford, too. When we started removing the tarmac in preparation for our turf, of course, the fence situation was a topic. In the end, we decided that we should just stop fussing and just install a normal fence, so we went out and bought some fence posts and started to compare fence panel prices. I’m not quite sure what happened between us buying the fence posts and starting to dig the holes for the fence posts, but something just didn’t feel right and we weren’t convinced that we were doing the right thing – which can never be a good thing when you know that you have hours of work ahead of you. Then it suddenly hit us – we could build a slatted fence but instead of using the really expensive cedar slats, we could just use standard tanalised wooden slats instead. As soon as we had the idea it seemed like such an obvious solution and we couldn’t believe that we’d not thought of it sooner! 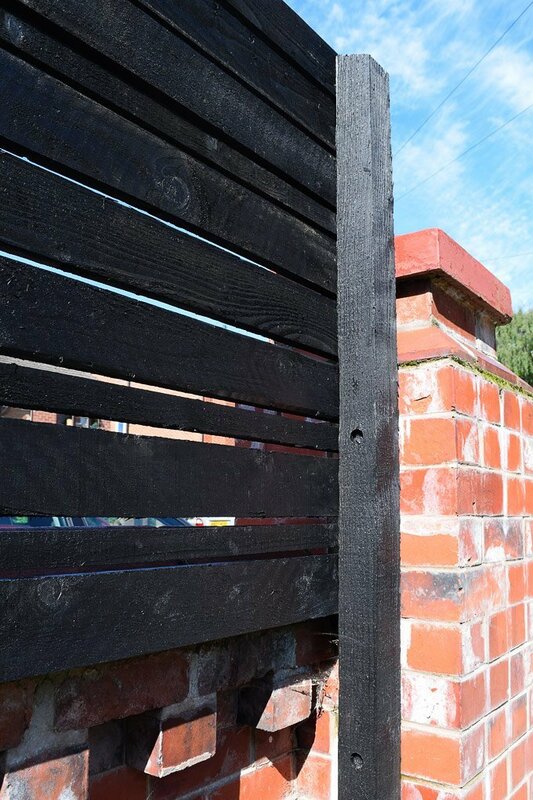 All ready-made fence panels that we looked at were made from the same kind of sawn timber, which is quite rough, but treated so that it’s perfect for outdoor use. Weirdly, we think that building our fence from scratch probably wasn’t more involved than if we’d installed ready-made fence panels. I know that it sounds mad, but the part of this project that took longest to do was to install the fence posts. Nailing all of the slats to the posts only took about 4 hours and I don’t think that we would have been much faster if we’d fitted ready-made panels. We’re really happy with how our fence turned out and are so happy that we opted to build a fence instead of choosing something that’s off the peg. Building a fence yourself has a load of advantages, too. Not only do you end up with something that’s much more individual, but you can build it to the exact dimensions you need it to be. In our case, we would have been left with a weird little gap a the end if we’d tried to install standard panels. 1. 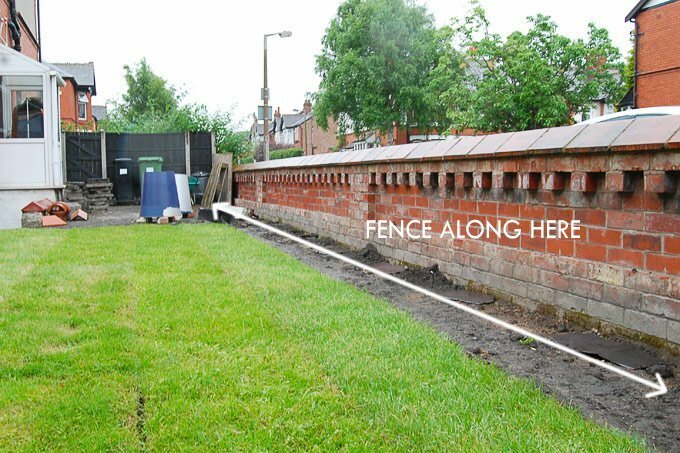 Measure the exact length of where you want to install the fence. The timber slats that we used were 3.6m (the wide ones) and 4.8m long (the narrow ones) – therefore the fence posts had to be 1.2m apart (from centre to centre). 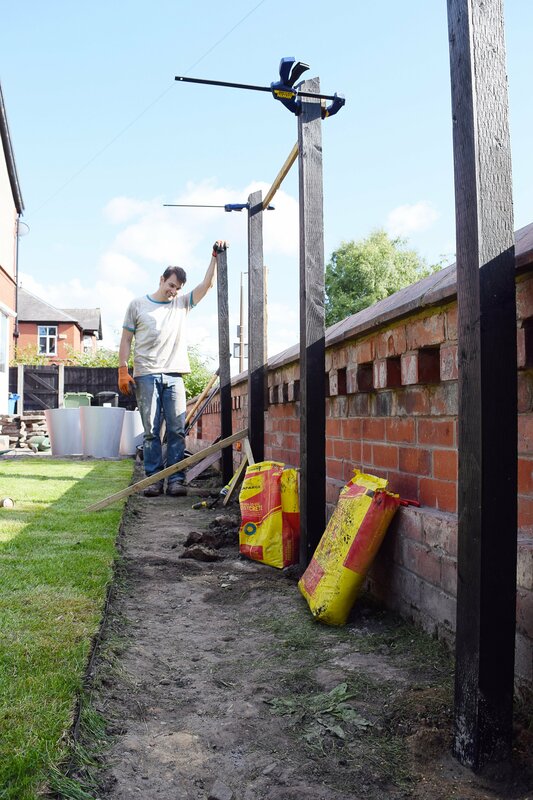 We figured that it would be quicker to build the fence if we didn’t have to cut any of the timber, which is why we chose a common measurement of the two timber lengths. Alternatively, you could calculate the distance between the posts by dividing the overall length of the finished fence by about 1.2m. This will divide your fence line into equal parts, but it also means that you’ll probably have to trim some of the slats later on. 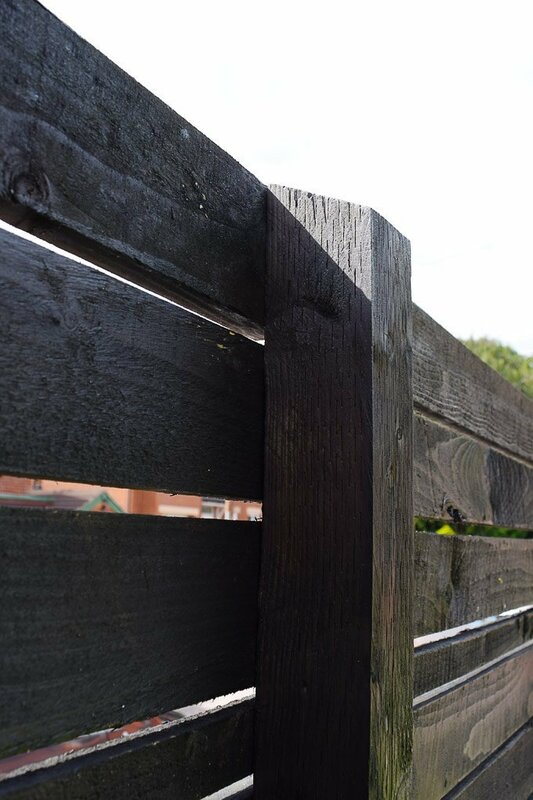 Usually, fence posts are about 1.8m apart, but because softwood tends to be rather bent, spacing the posts about 1.2m apart allows you to straighten out the wood a bit more than if it was fastened at larger intervals. 2. 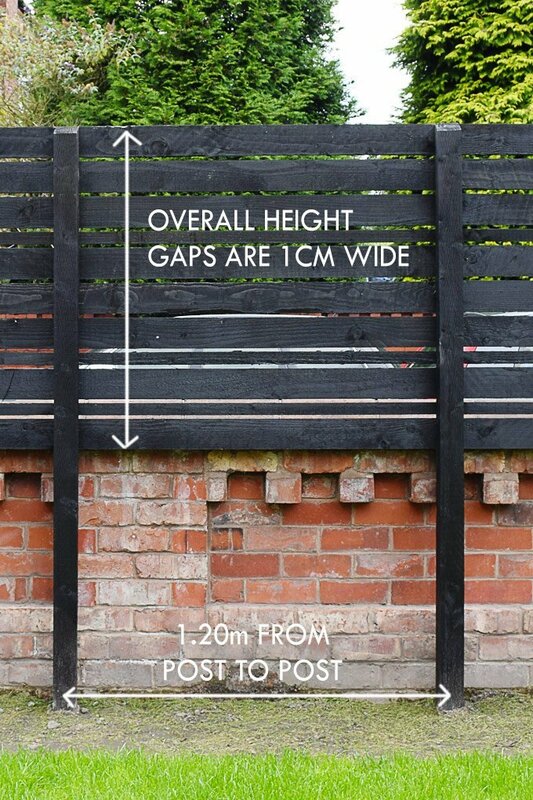 Decide on the height you’d like your fence to be, then work out the order and pattern you’d like your slats to be in. We built our fence about 1.85m high (anything over 2m will definitely need planning permission). 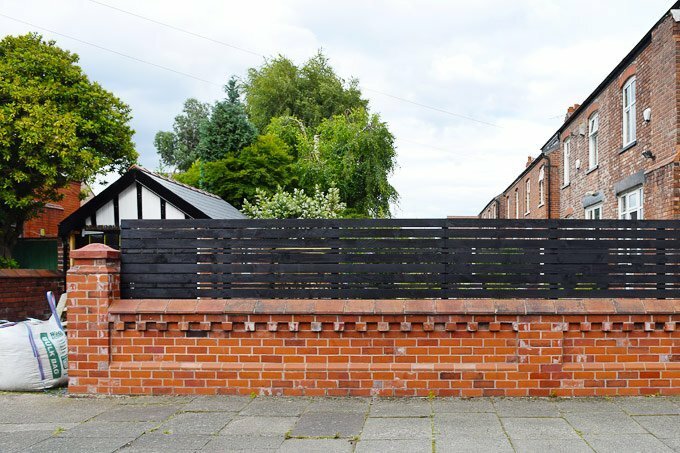 The panels we used are 100 x 22mm and 38 x 19mm (make sure tanalised timber suitable for outdoor use) – we couldn’t get them in the same thickness but assumed that a 3mm difference wouldn’t be visible when the fence was finished. This is the combination of widths that we liked best, but you could use larger panels if you prefer. The length of our fence is about 15 m. I already mentioned that we decided to work backwards from the available lengths of slats. This means that we need 13 fence posts (12 at equal distances and one extra one for the end). The overall height of our finished fence will be about 1.8m. 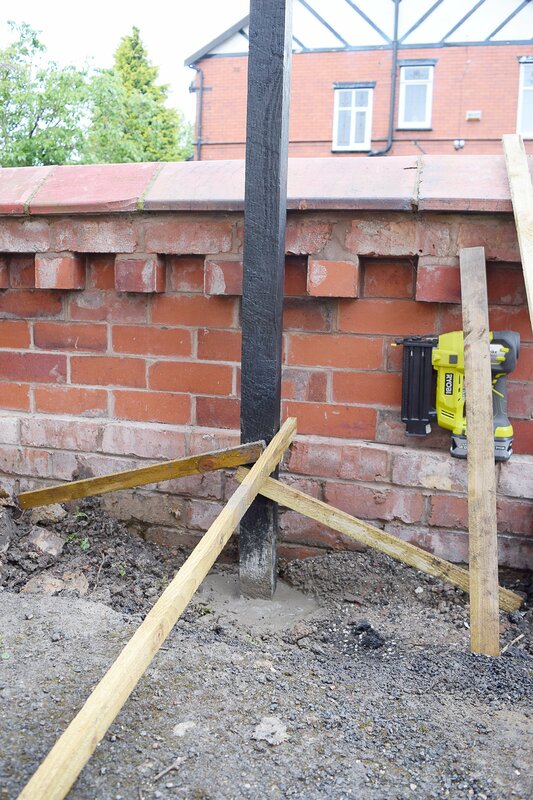 This meant that we had to use fence posts that are 2.4m long – 60cm of the post will disappear into the dug hole. As we already have a bit of fence between the front and back garden, we decided to install our new one at the same height. We’re also building the fence next to our garden wall, so we decided to only have the fence over the wall and not in front of it. There really seemed no point in having the fence go all the way down to the floor if there is a wall in front of it anyway. Nails – make sure that you used galvanised ones otherwise they will rust in a matter of hours! Measure the distance between the posts (ours are 1.2m from centre to centre) as exactly as you can and dig your hole. We ended up having to adjust a few that weren’t exactly where they had to be. We used a fence post digger which worked well but don’t underestimate the strength needed to use it, especially as the hole gets deeper. 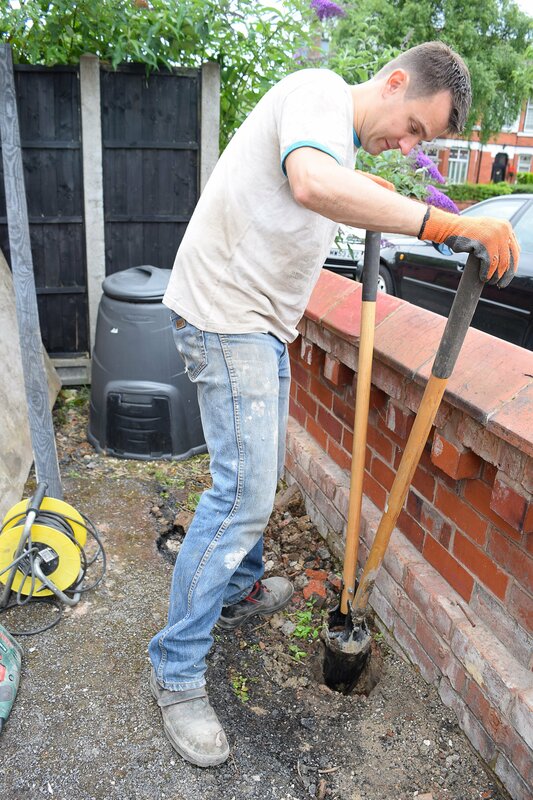 Because we’re building the fence close to the wall, we also had to remove bits of the foundations with our hammer drill. It wasn’t difficult to do but just meant that it took us extra time to get each hole dug to a depth of around 60cm. Because of all of the gaps between the slats, painting everything before you install it is much easier than painting it later. 3. Install The First Fence Post. Throw a handful of gravel into the hole (it’ll help with drainage) and place a fence post into the hole and measure, measure and measure again. You want it to make sure it’s the right height, and level on all sides. Then nail 3 pieces of timber off-cuts to the base to keep it in position, fill the hole to about ? with water and add the postcrete. Don’t even think about trying to level the post after adding the postcrete – it dries super fast and you just won’t have enough time. 4. Install All Remaining Posts. Cut yourself a piece of timber which is the length of the distance between the posts (centre to centre) plus the width of one post. For us this was 1.20m + 75mm = 1.275m. 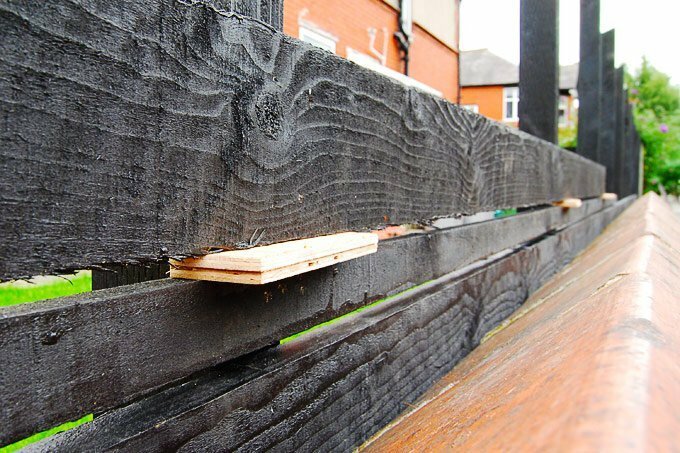 Attach it to the first fence post with a clamp making sure that the edge of the batten is flush with the outer edge of your fence post. Place the second fence post into the hole (don’t forget the gravel) and attach the other end of the timber batten to the outer edge of the not yet installed fence post. Using this method for all posts will ensure that the distance between each post is exactly the same. It also makes it easier to level the post, as it’s already held in place a bit and doesn’t wobble around. Then, as with the first post, check that everything is level and at the required height, before adding water and postcrete to the hole. For us, checking the height was easy, as we were able to measure distances from our wall (which is level). If you don’t have a reference point (your ground probably isn’t level), you can use a long spirit level going from post to post (or a shorter spirit level on a flat piece of long timber), but I’d suggest adding a string line as a guide to work along. 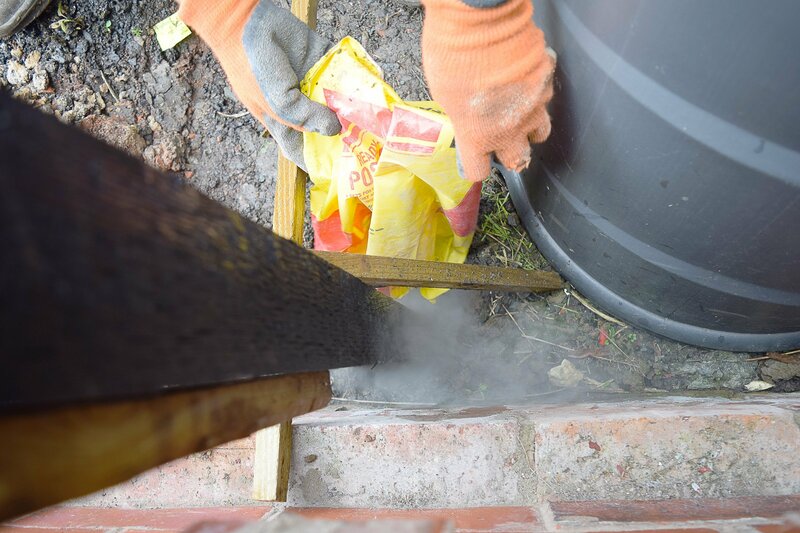 When setting out the post, we also used an offcut of timber that we placed between the fence post and wall. This way we knew we were keeping an equal distance from the wall with every post. 5. Post Installation On A Wall. 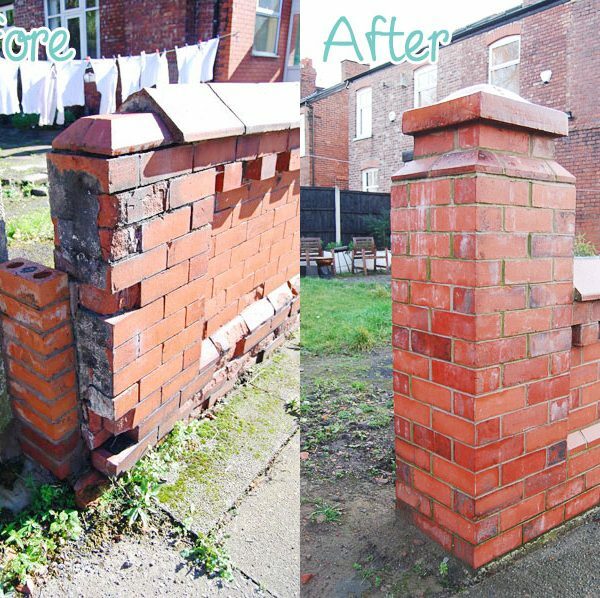 Because of the layout of our wall, our first post is attached to our existing brick gate post and not fixed in Postcrete like the other posts. It was surprisingly easy to attach the post to the wall with the help of some fantastic little things called masonry bolts. 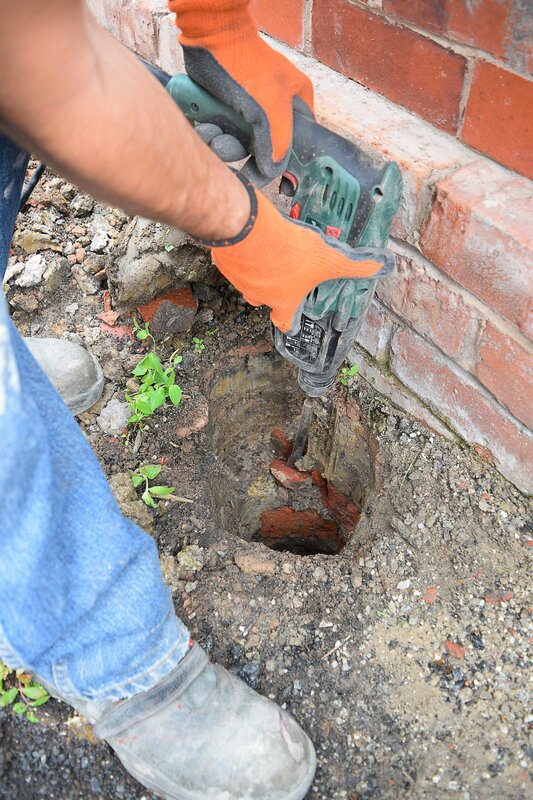 We’d not heard of them before but basically, they allow you to drill into masonry without the need for wall plugs. Most of the hard work is done now and attaching the fence panels was weirdly fun to do! 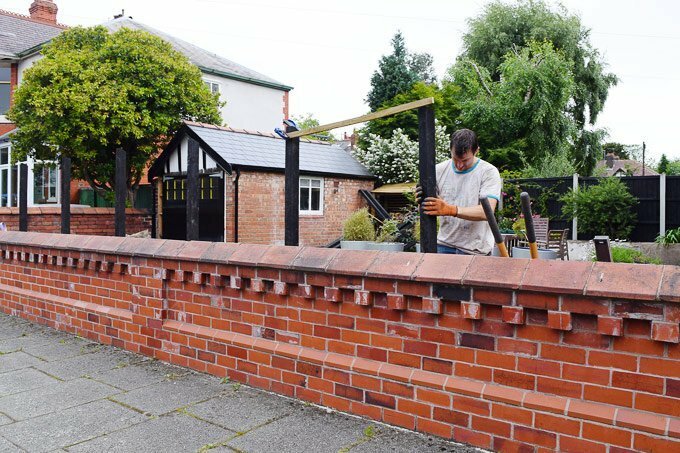 It was so quick, especially compared to installing the fence posts, and you could really see the fence take shape in a matter of minutes. Starting with the bottom row (again we used our wall as a reference), attach the first piece of timber with your nailer. Make sure it’s perfectly level, as this piece will be the guide for all others. Once the full first row is installed, lay a placeholder piece on top of the panel. This will be the visible gap between the panels. We used some offcuts of wood that we still had lying around, but you could use anything as long as it’s firm. Then lay your second slat onto the placeholders, push it down firmly and nail into place. Remove the placeholder pieces and lay them on top of your new slatted panel piece. Add the next panel, nail it into place and repeat the process until you reach the top of your fence posts. 7. Stand Back And Admire Your New Fence. Yay, you’ve finished – time to celebrate! 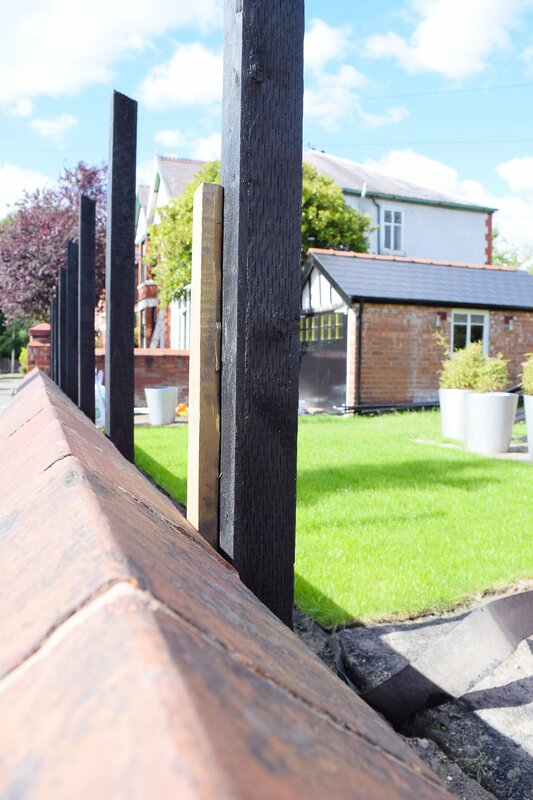 Remember, depending on where you live, you may need planning permission if you want to install a fence! Think you can nail this by hand – don’t! It would take forever and by using the nailer the little nails are shot so far into the wood that they become invisible! If you dig your holes for the fence posts but don’t get round to adding the post and concrete straight away, we’d suggest covering them up. A hedgehog fell down one of ours and got stuck! Needless to say, we felt like the worst people ever but we managed to get him out and take him to a hedgehog sanctuary where we were told that he would be fine. Pfew! 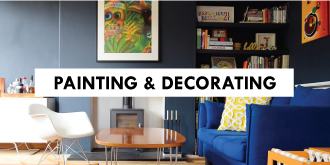 It’s a two-man job (at least for us DIYers). Yes, it would be possible to do it on your own, but having someone to hold the post while you measure makes it much, much easier! Don’t underestimate how long it takes to install the fence posts. Overall we estimate that it took an hour of work for each post – which includes digging the hole and installing the fence post. As always, we were much quicker towards the end, but it still took about 13 hours to get all posts installed. We didn’t like the look of fence post caps so instead cut the top of our fence posts to an angle. This way the water will run off them and they should hopefully stay looking good for a long time. 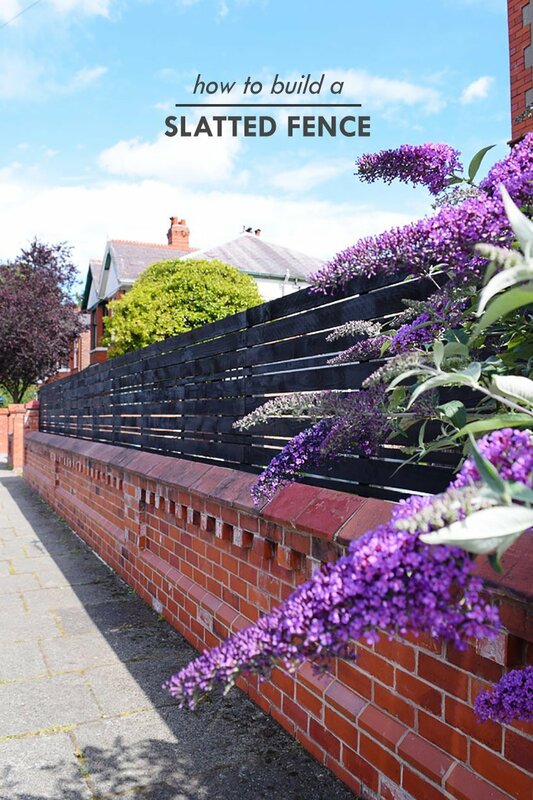 So, I’m sure you’re wondering how the cost of our bespoke fence compares to standard featheredge fence panels which are what we’d considered installing at first. 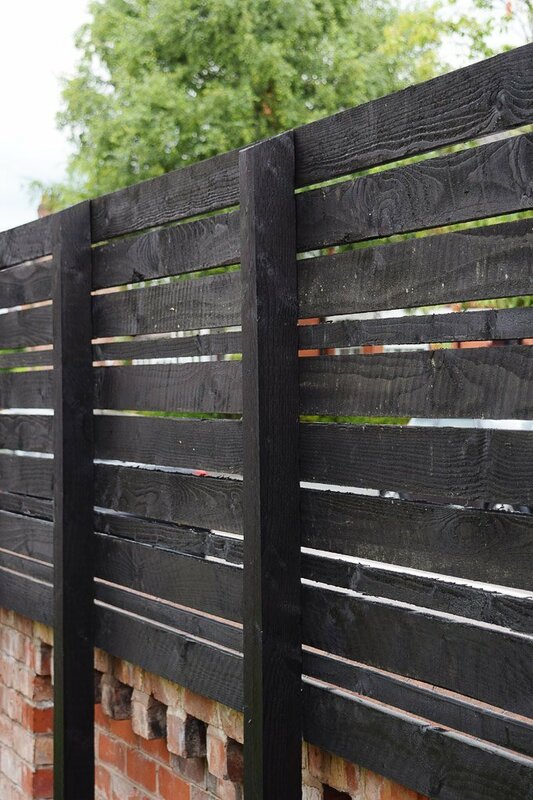 The overall cost for our slatted fence comes in at about £24 per metre. 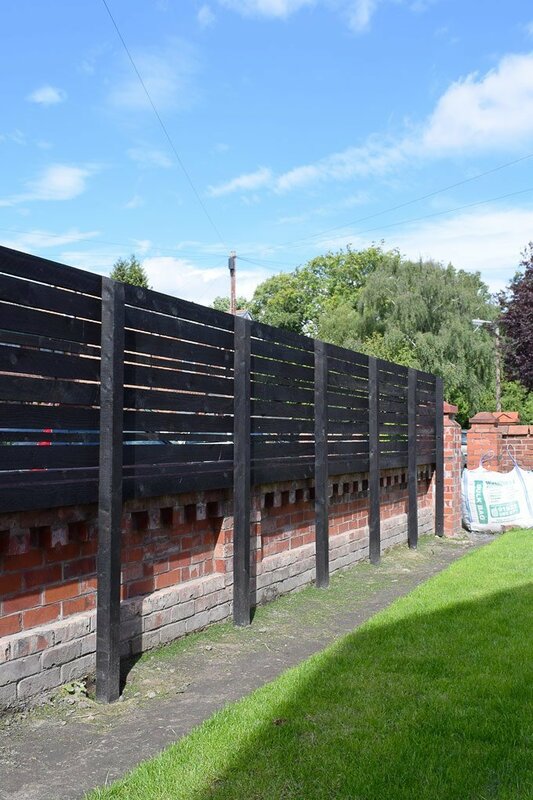 A standard featheredge fence comes in at about £28 per metre. Overall there’s not much price difference. so I guess it really comes down to price preference over the difference in cost. I know that building your own fence seems like more work than building one from ready-made panels, but for us the by far most time-consuming part of this project was installing the fence posts which took around 13 hours to do. Adding the slats took about another 4 hours. We’re really pleased with how the fence turned out. We’ve obviously still got a huge amount of work to do before work in the garden is finished. It’s an area of our home that we’ve probably neglected for far too long, but bit by bit we’re finally starting to see things improve. 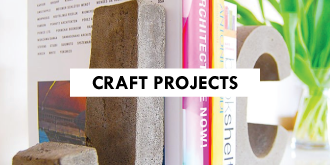 Do you have a project that you’ve been putting off? 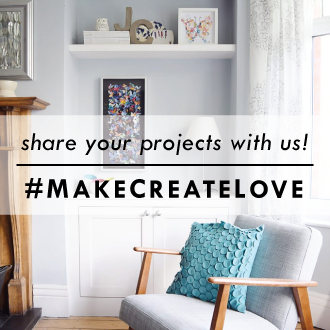 What area of your home do you tend to neglect most? Would you prefer a classic fence or a slatted fence for your garden? *This post contains affiliate links. All tools recommended here are the exact ones we own. If we don’t love something, we don’t recommend it! Haha, thanks Lins! 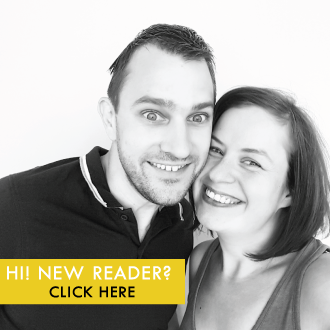 We’re so happy with how it turned out and it really wasn’t difficult to build… just took longer than expected! The road where we live is fairly quiet with mainly neighbours walking along, but you’re right that it’s nice to feel a little less on show (especially when we’re working on mad building projects). Great job guys. I have a fence up already but I am going to use the slatted look above my fence instead of trellice. We have a horrible looking building next to our house so this will disguise it. Where would be the best place to get your timber from? We have a tippers near us. Thanks. Jason. Starting a huge project in my garden. Thank you, Jason! We bought our timber at a local timber merchant. It costs about the same as it would if you bought the wood at a DIY store but the quality is usually much better and straighter and they’ll often deliver for free, too. This was our favourite place to shop anything timber but I’m sure you’ll be able to find somewhere local to you, too! Good luck with the fence! A really great way to add some privacy to your garden, some really good hints and tips as well! Thanks Matthew! It’s definitely one of the projects that we wish we’d done years ago. The fence looks great. Can I ask what type of slats you used and where you got them? Thanks James! We used slats of 100 x 22 mm and 38 x 19 mm of sawn tanalised timber which is pressure treated and suitable for outdoor use. 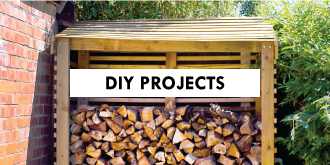 The timber is just the standard timber that you can get at any DIY store. We purchased our slats at a local timber merchant (because that’s where they were cheapest) and bought the fence posts (which are 100 x 100 mm) at Wickes because they had a 3 for 2 offer. The fence looks so great! 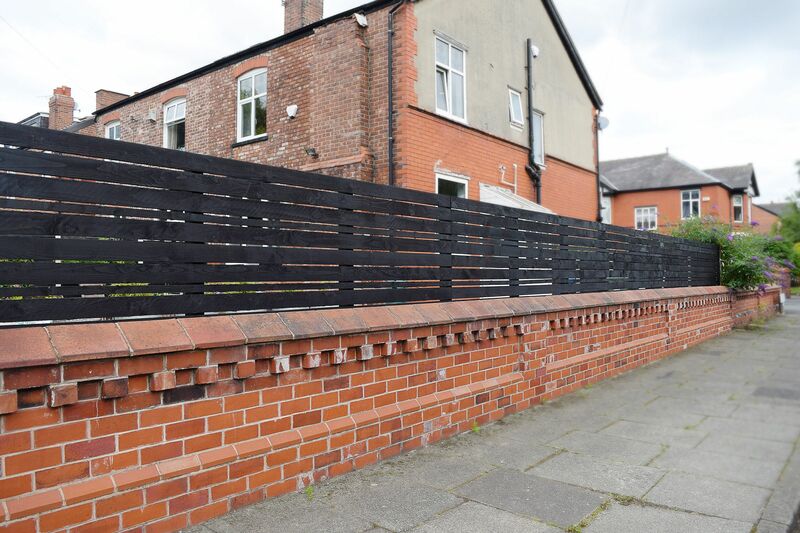 I definitely like the look of the dark, slatted fence on top of the low brick wall, and it’s really interesting that the part that should’ve been more time-consuming didn’t seem to make much of a difference at all when everything was finished up. Thanks for sharing. That is a great job, looks fantastic. The black is quite stylish whilst being unobtrusive. Much nicer than the everyday golden and brown colours. Maybe the cost per metre could be further reduced with posts at 1.8m centres? Thanks! 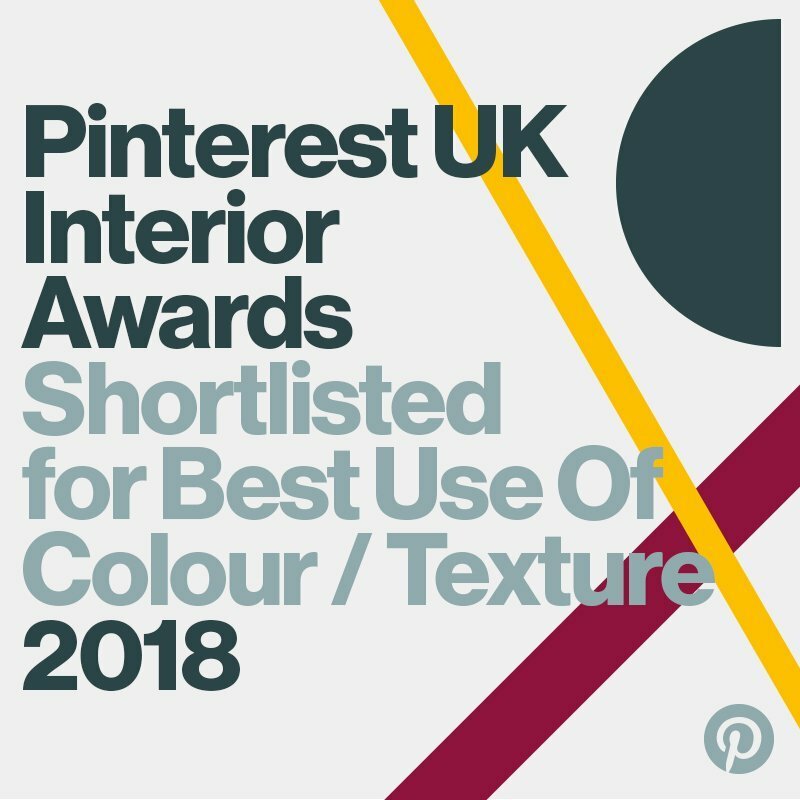 We’re really glad that we opted for the black colour – it really finishes it off. We used a 1.2m distance because we wanted to give the thin slats more support and were worried that they could sag if they were secured further appart. 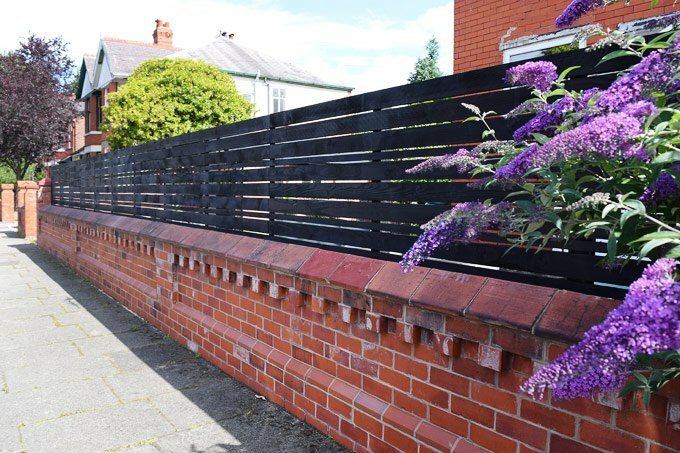 So love this fence and want to do similar for elderly parent’s front garden but was told it’s not allowed to be higher than 1M in front garden? Also told we need to ask and receive planning permission costing £200 before we start. Would love to know how you got around these problems. Ps so sorry to hear you guys are leaving UK have really enjoyed reading all your diy exploits and gained valuable knowledge and tips. 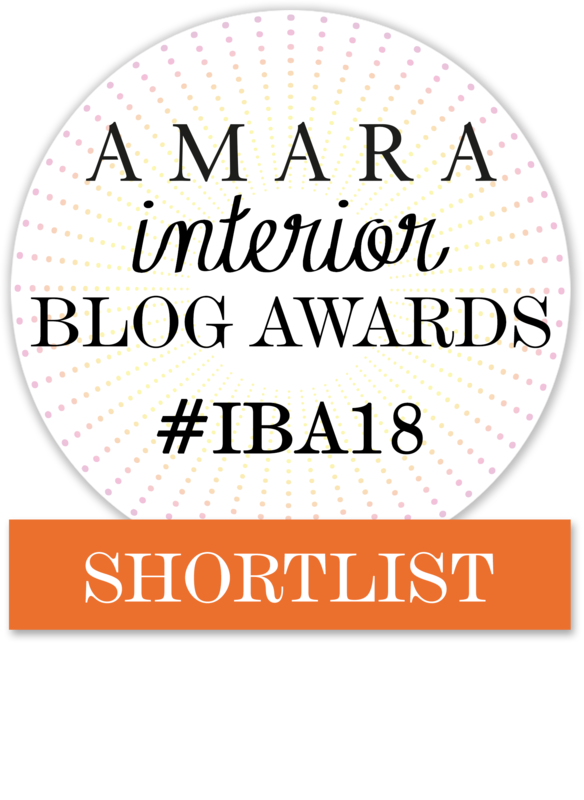 Thanks so much for all the time and effort spent documenting your lovely blog. I’m afraid that’s all right, Dee. The council usually won’t let you add a tall fence at the front because it changes the appearance of the street too much. If your parents live on a corner plot like the same applies to the side, too. There’s really no way around it other than to apply for planning. You can easily do the drawings and submit them yourself which will save money but there will be an inevitable planning application fee and a very annoying 8-week wait. I’d give your planning office a call and ask them for advice. PS. Thanks for your kind words about us leaving. We’ll definitely keep up the blog and are already hunting for our next home to renovate (we already have a viewing lined up)! I’d personally stagger each section. I think that keeping the slats straight will give you a cleaner look. Have the nails stayed secure on the slats since the fence was installed? Have heard conflicting opinions on whether to use a brad nailer for securing fence boards. Two years in and it’s all still as it was on the first day. No problems at all so far!